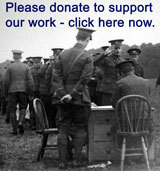 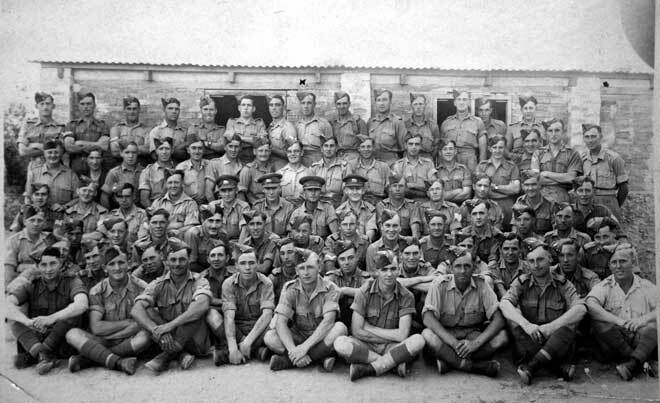 Officers of the 1st Battalion, in Syria, May 1943. 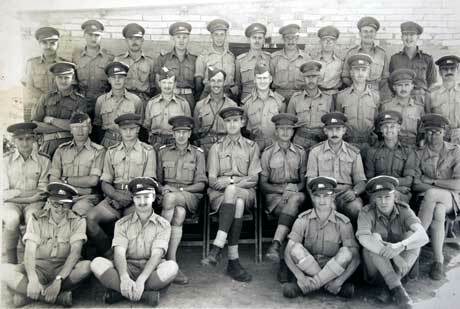 Warrant Officers and Sergeants of the 1st Battalion, in Syria, May 1943. 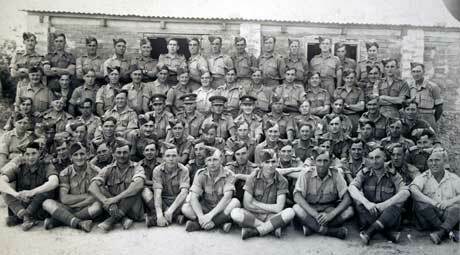 C Company of the 1st Battalion, in Syria, May 1943. 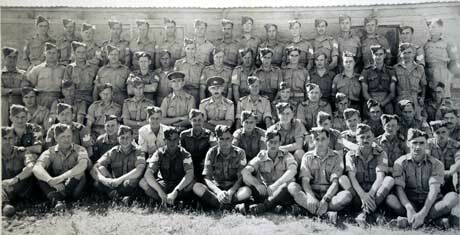 C Company Group photo of 1st Battalion King’s Own circa May 1943 in Syria (prior to the deployment to the Greek Island of Leros) with Private James Riley marked in rear row. 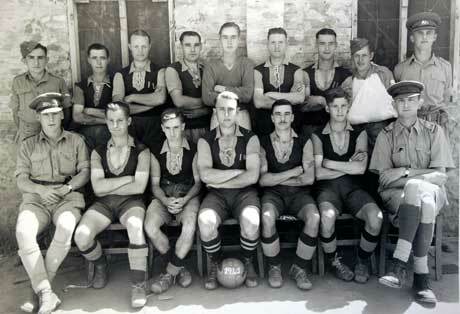 1st Battalion Football Team, Syria, May 1943.